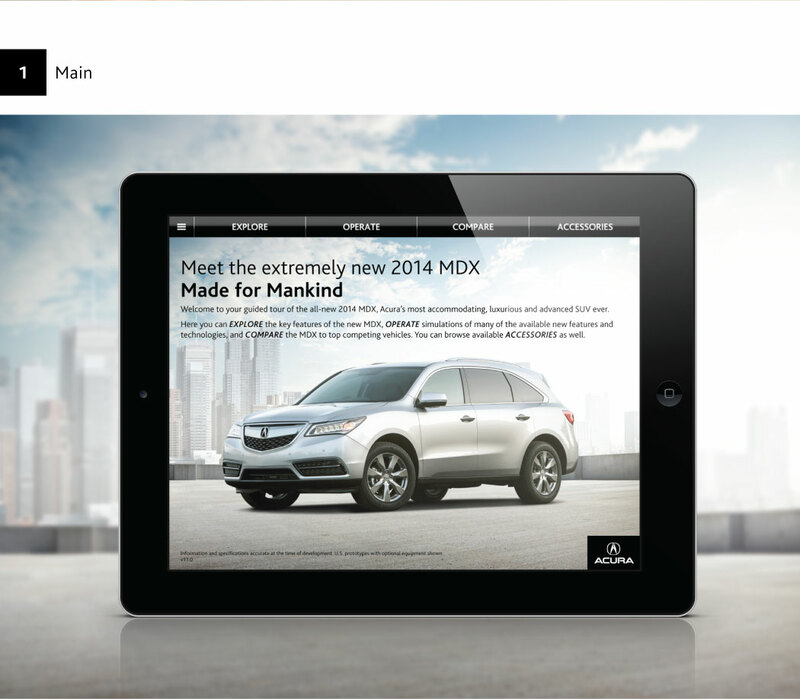 2014 Acura MDX iPad App is a guided tour of the all-new 2014 MDX, Acura’s most accommodating, luxurious and advanced SUV ever. 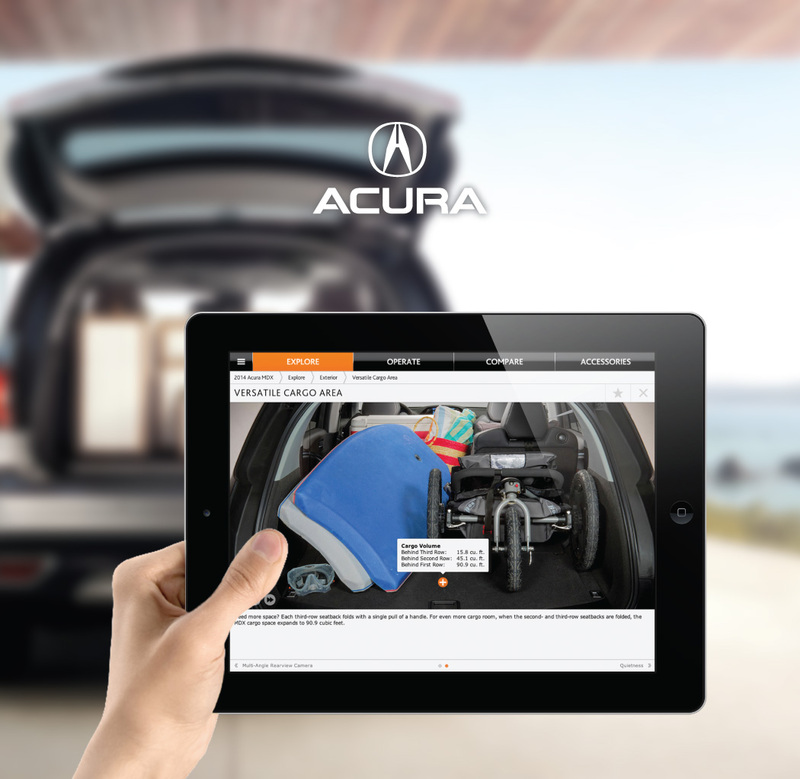 We designed the branding as well as coding for the app. 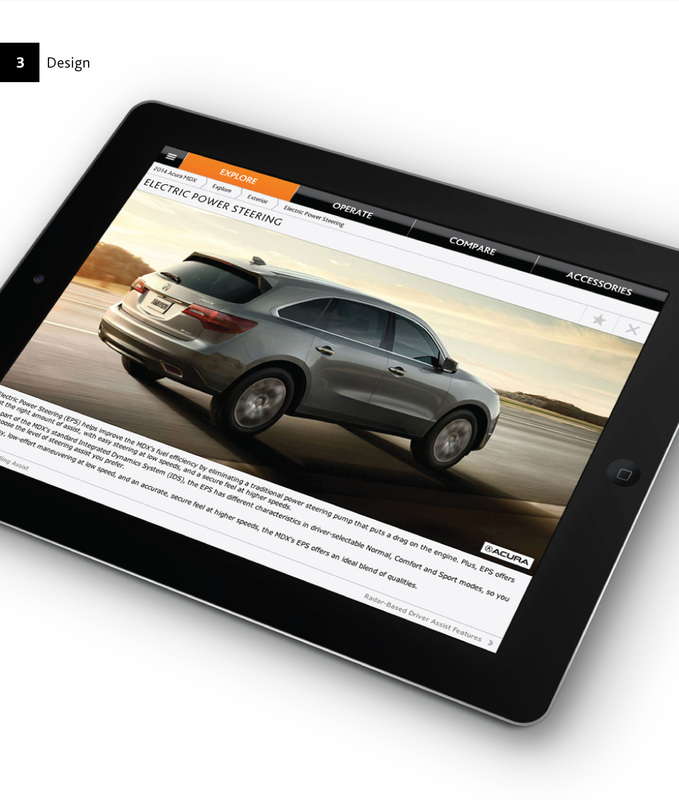 Services included visual identity, mobile strategy, user interface design, and design.